Usually known for their dark and gritty films, DC's latest superhero offering Shazam! seems to be a clear departure with a humorous, light-hearted, almost goofy character at the centre. While the film is scheduled to hit screens on 5 April, early reviews have started coming in which indicate that the movie is being lauded by critics for its light treatment, with some even considering it to the best film from DC Extended Universe. Directed by David F. Sandberg, Shazam! follows troubled 14-year-old orphan Billy Batson who is bestowed with the power to transform into a godlike adult superhero. Together with his foster brother Freddy Freeman, he has to prevent the evil Dr. Thaddeus Sivana from committing nefarious acts. The film stars Asher Angel, Zachary Levi, Mark Strong, Grace Fulton, Jack Dylan Grazer and Djimon Hounsou. Take a look at what the critics are saying about Shazam! The Guardian: "Buoyant and unpretentious, Shazam! aims low and mostly succeeds, a kid-friendly caper powered with enough energy to keep its target audience engaged with a fun central conceit that plays like a cross between Big and Superman." 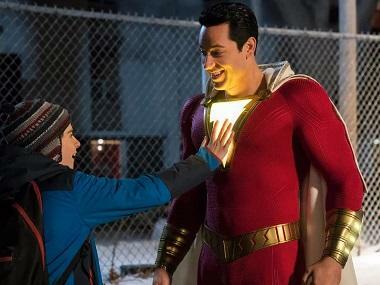 IndieWire: "Warm, witty, and bursting at the seams with great characters, Shazam! is easily one of the most fun superhero movies ever made; even after the euphoric Spider-Man: Into the Spider-Verse, that’s still a low bar to clear, but it’s worth celebrating all the same." Variety: “Shazam!, is just a light, funny, grounded, engagingly unpretentious sleight-of-hand action comedy about a boy in a (super)man’s body...At Shazam!, we seem to be watching a knowing satire of a comic-book film that is also, in every frame, the genuine article. The movie is dunked in mockery, but Shazam! 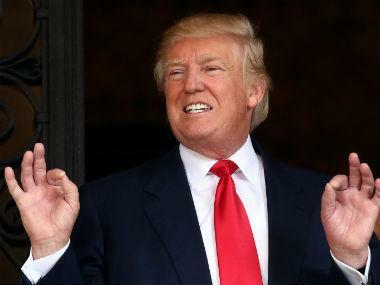 's s feats of amazement play as cosmic jokes mostly because they’re amazing to him." The Wrap: "...the movie does capture the original comics’ combination of breezy heroism and nutty plotting, transferred from the 1940s to the modern era with great skill." Entertainment Weekly: "Whenever (Zachary) Levi is on screen, wowed by his new grown-up physique (his muscles seem to have muscles) and shocked by his newly discovered powers (living lightning zaps from his fingertips), the movie soars...Shazam! is basically two movies in one. One with Levi and his wiseass foster brother, the other with Strong and all his snarling, computer-generated gobbledygook. And they both have the other in a headlock, wrestling for the soul of the story." Digital Spy: "While not as much of a landmark as Wonder Woman, Shazam! feels more complete than any of its post-Man of Steel predecessors. It presents a singular vision rather than the Frankenstein's monster of Justice League, the chaos of Aquaman or Wonder Woman and Batman v Superman, which were laden with lumpen CGI villains." Empire: "This feels more like a Disney movie — in their mild-mannered superheroics phase, represented by the Flubber and Herbie films — than any of the Marvel comic book films released by Disney, with a clutch of appealing foster siblings (Faithe Herman is a standout) set to team with Billy in pretty much inevitable future adventures."